Helen is our great Teacher Trainer in the US! 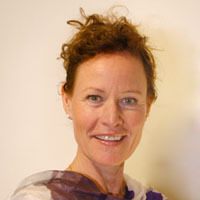 Helen has worked with Cardio Vascular Interventions as a X-ray Nurse for 25 years in Sweden and Norway. She is a MediYoga Therapist and Teacher, certified in MediYoga for Stress & Burn-out Syndrome and in Children and Young adults with special needs. Helen is also a certified Reiki Japanese-Shouden practitioner. MYS California is currently pioneering the integration of MediYoga programs into the US Health Care System in California. Helen (called Hilly) originally from Sweden but now lives in Bodfish, California, with her husband and four rescued dogs. She has three grown up children.